Capestrano is a stunningly picturesque town of only 960 people in the province of L’Aquila in the Abruzzo region. It encapsulates everything I love about small town Italy. The people there are so friendly, especially to visitors who are few and far between. Hospitality, warmth and time is something they have in abundance. They make you feel so welcome and are proud to show off their area. 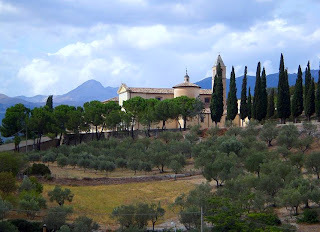 It has wonderful restaurants, a fabulous gelateria and café called Bar Tagliente in the main piazza, churches, a monastery, an abbey, a gorgeous lake and a beautiful lofty towered castle atop the hill overlooking the town! It is set in a perfect location, 40km west of Chieti, on the edge of the Gran Sasso National Park, 160km east of Rome and only a 25 minute drive from the Adriatic coast. From its elevated position, this dramatically perched hilltown, 500m above sea level, gives spectacular views down the striking Tirino valley, dotted with aged olive and almond trees. 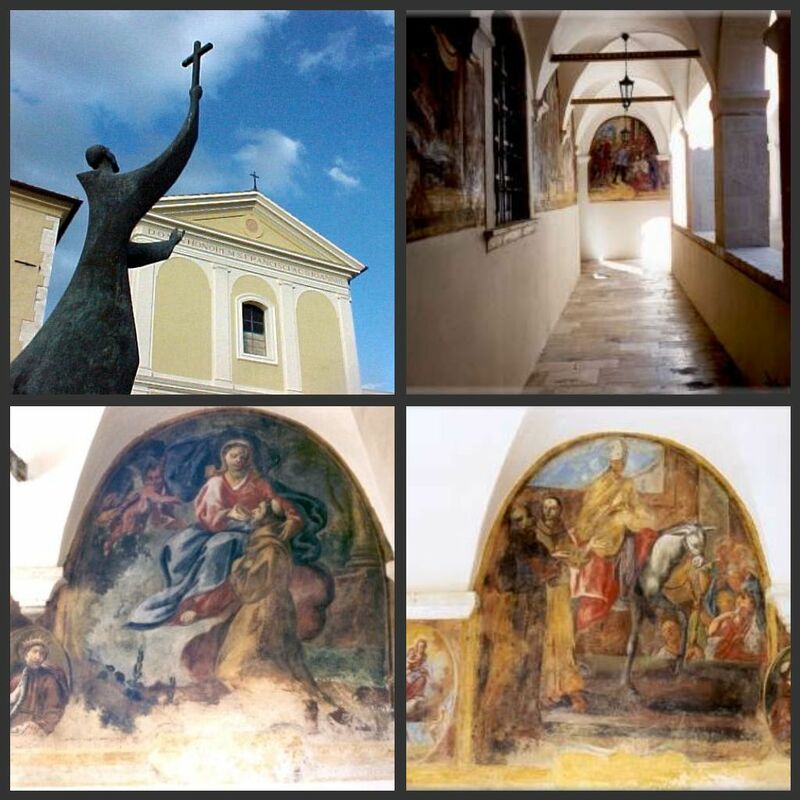 The town is known not only for the Capestrano Warrior, but also for being the birthplace of the famous Franciscan monk Saint John of Capestrano (1386-1456) after whom the town was named. Incidentally, the town is twinned with San Juan Capistrano in California. (They spell it a little differently). In walking distance from the pretty main piazza is the magnificent monastery of St Francis erected by Saint John of Capestrano dating back to 1400. The majestic Capestrano castle was built in the 13th century, next to the Tirino River and the Abbey of St. Peter ad Oratorium. 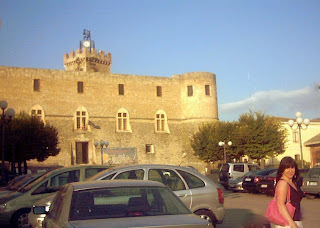 I’ve translated some of the history relating to the castle from the website www.comunedicapestrano.it. The first document that refers to the name of Capestrano dates back to 1284, when King Charles I of Sicily gave the castle to Riccardo d’Acquaviva, the marquis of Capestrano. In 1462 the castle passed on to Antonio Piccolomini, nephew of Pope Pius II, who enlarged the castle with new towers and battlements. 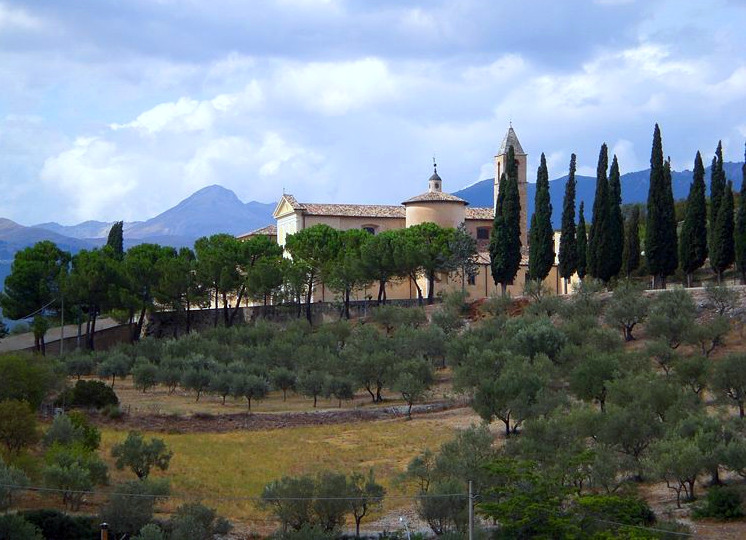 By 1579 the castle was known by its official title ‘Piccolomini Castle’. Then it was sold to the Grand Duke of Tuscany and in 1743 was owned by the King of Naples. In 1860 it passed on to the Savoys. These days, Capestrano castle is the headquarters for the mayor of the town and as a result it’s very well preserved and is the site for many of Capestrano’s annual festivals. Admission is free – which I think is unusual in Italy. My friend Gianluigi once quipped that: ‘Only the air in Italy is free’! The elegant baroque ‘Piazza del Mercato’ has lovely little shops, restaurants, a beautiful parish church - Santa Maria della Pace - and even an Irish pub called The Highlander! This scenic town has an interesting juxtaposition of medieval and renaissance architecture. I took my pictures on a balmy August evening as the sun was throwing its golden mellow light across the rolling landscape and the soft shadows of the buildings were beginning to lengthen. We had a lovely stroll around the cobbled, steep medieval streets with their narrow winding alleyways, before touring the charming castle, monastery and its beautiful frescoed cloister. In the vicinity of Capestrano you can also visit the charming Romanesque church of San Pietro ad Oratorium (1100) and admire the sparkling, clear waters of pretty Lago di Capo d’Acqua. Recommended restaurants in the area are: Ristorante San Giovanni in the main Piazza del Mercato and in the nearby village of Preciano, Ristorante La Sorgente, Via Presciani, 36 (which serves trout and freshwater shrimp from the Tirino River). 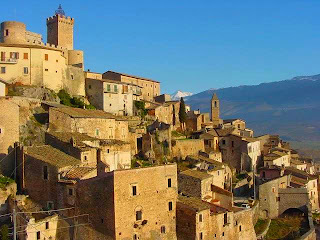 *Update: For a more detailed and interesting account of Piccolomini Castle and its history have a look at Tatiana's post on her Italian Slow Walks blog - a beautiful blog with wonderful photos and descriptions of special places in Abruzzo. ** Another interesting post about Capestrano with great photos can be found on Bodach's excellent blog About Abruzzo. I've just added Capestrano to my list of places to visit this year. I hope I make it. I did pass near to it on a bus to L'Aquila from Pescara a couple of years ago but I didn't explore. The way you describe it and your lovely photos make me regret not stopping. I guess you can do everything. Thanks Bodach! Here’s a suggestion…if you get to the Snake Festival in Cocullo as you plan to in May, you could visit Capestrano later that evening. (It is less than 20 miles to the north). Anything is possible if you put your mind to it! I like very much your story and pictures. I've visited Capestrano this March and was realy enchanted by this town. I'm just going to add post about Capestrano at my blog. Thanks for your lovely comment. Like you, I enjoy slow walks around small ancient towns that are rarely found in tourist guides. I look forward to reading your future post about Capestrano! Ciao! I am trying to find a place to stay in or near Capestrano that isn't too expensive. My family is from that region and I want to see the town very badly, especially after reading your account and seeing your beautiful photos. Please let me know if you know of any places conveniently located! I will be there in mid-August. My family is from Capestrano and I am searching for family of my grandparents who are still there. I have been to Italy but not Capestrano. I plan to visit with my daughter soon. My email address is Mersadie15@myfairpoint.net. I would love to hear from others who share the love of Italy that I do. We love Capestrano, if you need a reasonable place to stay, you really should try "Casa Belvedere" on via delle Aie. Close to the Piazza, comfortable restored house with perfect accommodation for two! We found it on "stayincapestrano" - a lovely english lady owns the house. Thank you for the information about Casa Belvedere Rodney! I have had a few emails from readers looking for places to stay in Capestrano and this information will be very helpful to future travellers visiting Capestrano. I have recently moved from the UK to this beautiful town. My B&B will be opening after Xmas so if anyone wants to stay and enjoy the wonderful ambience please let me know. You can email me: maggiehampton@hotmail.co.uk for further details. We will be travelling to Italy mid September and are looking for accommodation for 4 adults (2 rooms). We are wanting to stay in the Capestrano area and wonder if you could give us some suggestions. Check out Casa Belvedere B&B and Casa dei Papaveri B&B/self catering on Facebook. 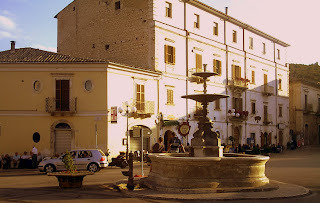 Both are close to the centre of Capestrano and look like lovely places to stay. For anyone wishing to hire a holiday home in Capestrano have a look at this beautiful one www.capestranohouse.co.uk. It was restored in 2013 and accommodates 4-6 guests. Our family just took a visit there in December of 2016. My mothers family is from there. It was a fantastic adventure that we were able to visit. It was late in the day when we got there and were only able to walk around the residences. I actually found the residence of family but it was vacant and the inside was in shambles. There was name plate on the door with the family name. Wish we could have met some residents. I could not even tell how much of the town we actually visited. The castle was facinating. Someday, maybe we will be able to visit again.